Union Printed, 3D VR Virtual Reality Glasses, Fun and easy to use, turn any smart phone into a 3D video viewer with this Goggles. 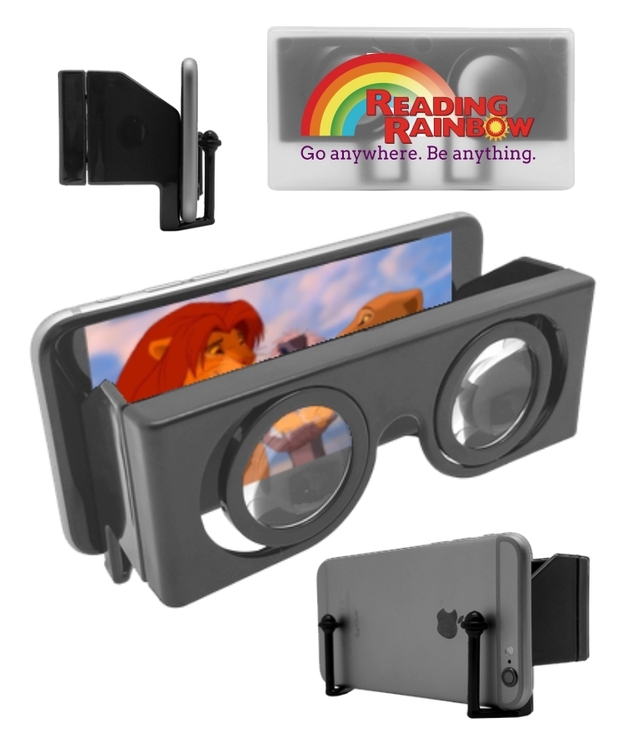 Stream a 3D video to your phone, slide the phone into the viewer, and look through the lens for the full 3D effect. The open top allows you to still control the touch screen phone without having to remove it from the viewer. . Your company logo is imprinted Full Color on the protective travel case. Decorated in our Union Shop - Union Bug Available at No Charge! • Imprint Area: 4" x 2"